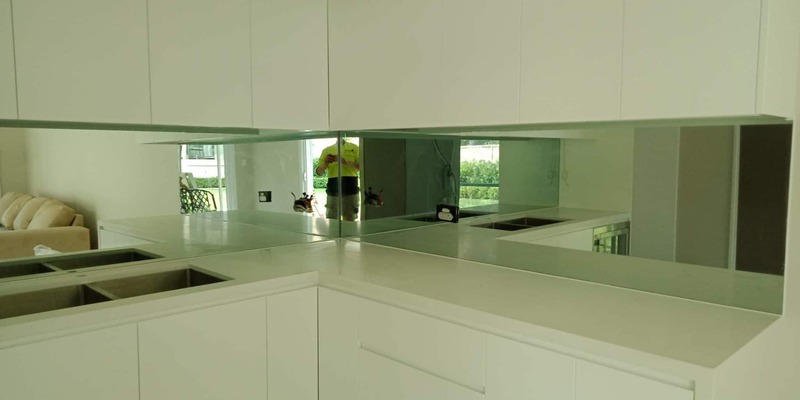 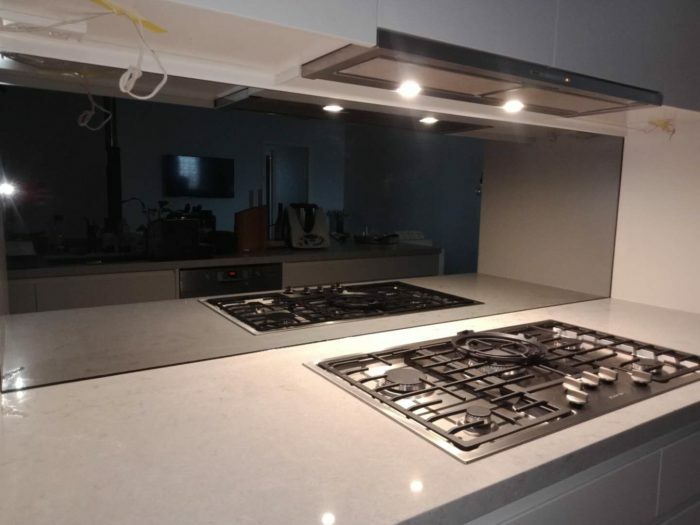 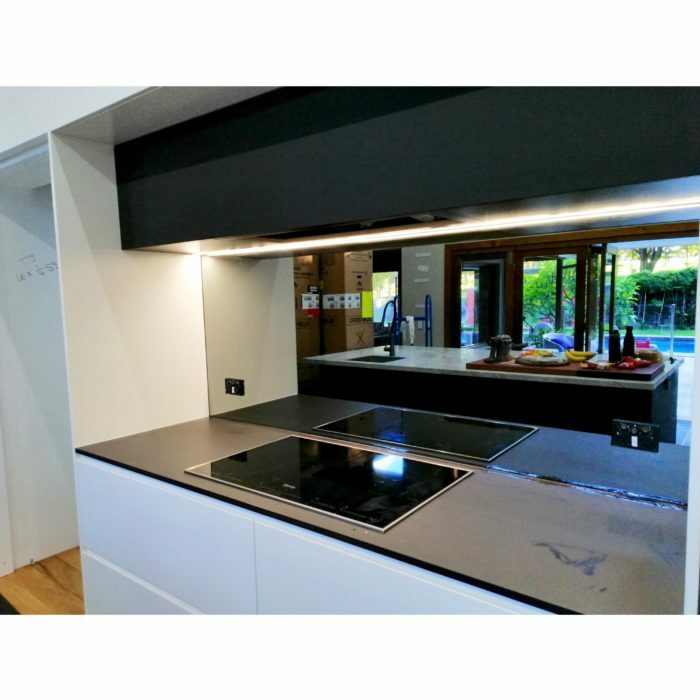 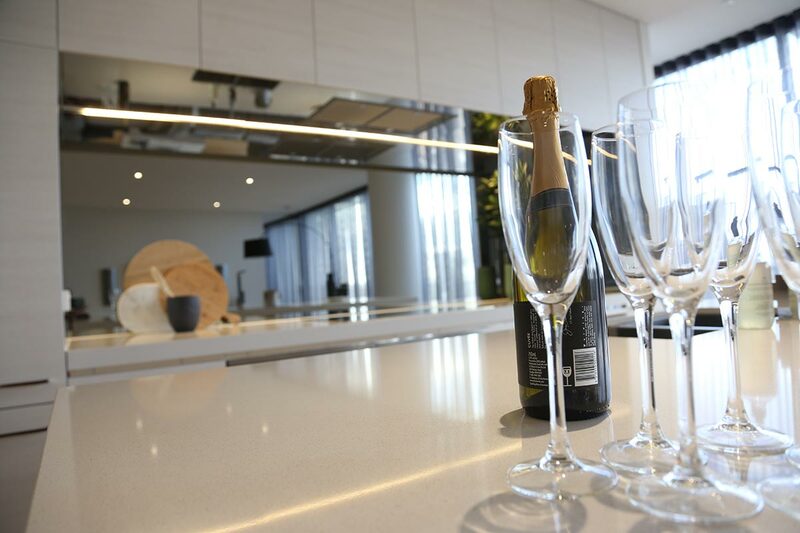 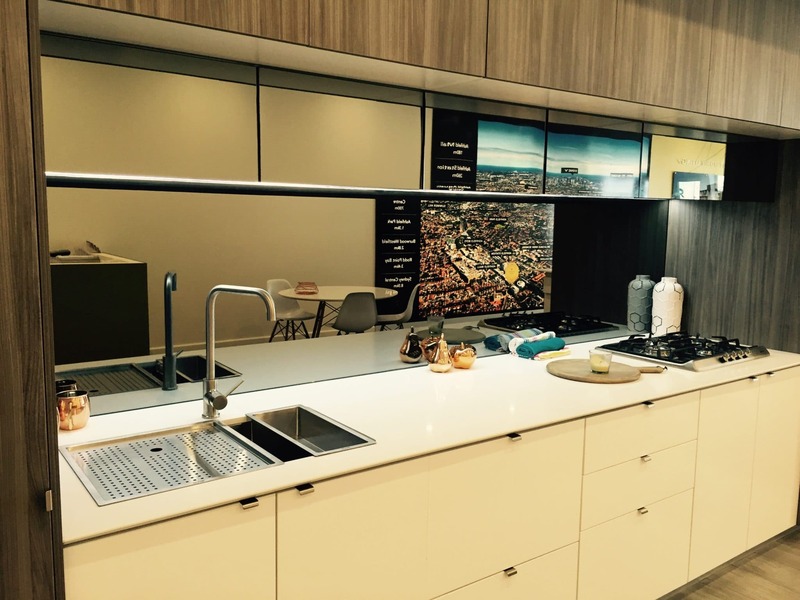 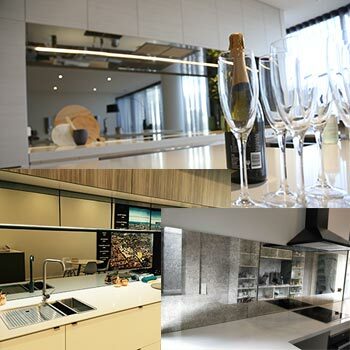 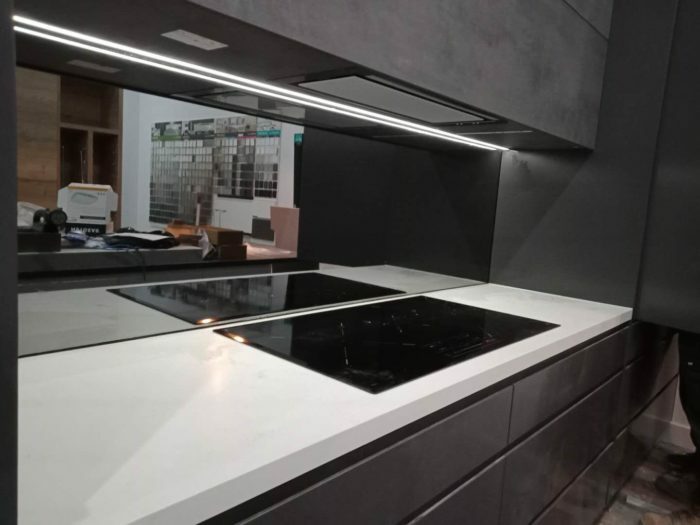 Our mirror splashbacks are made using a special process to apply a mirror backing to toughened glass. 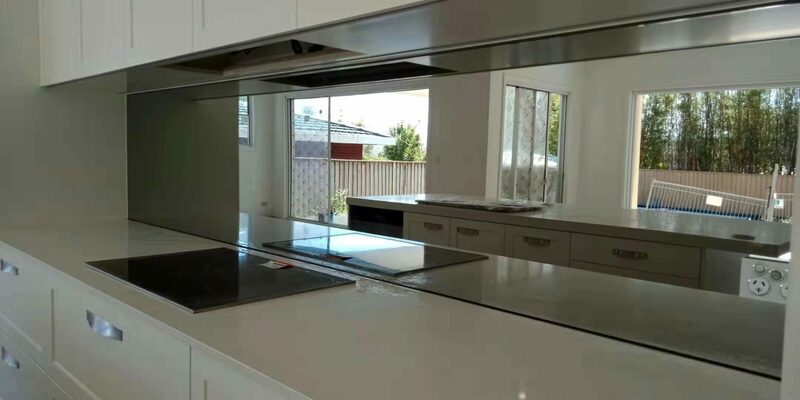 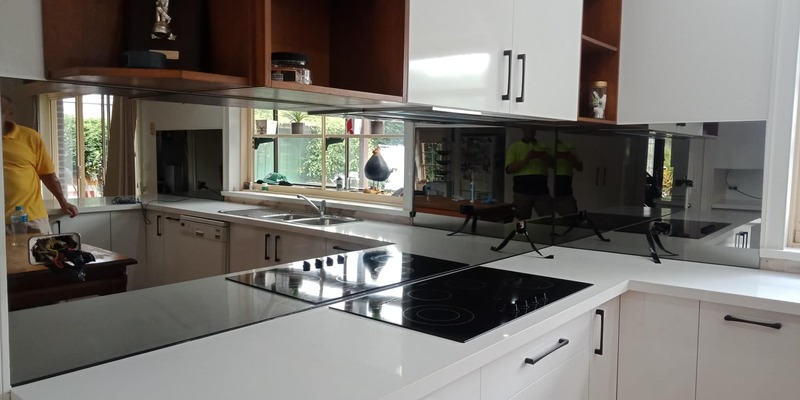 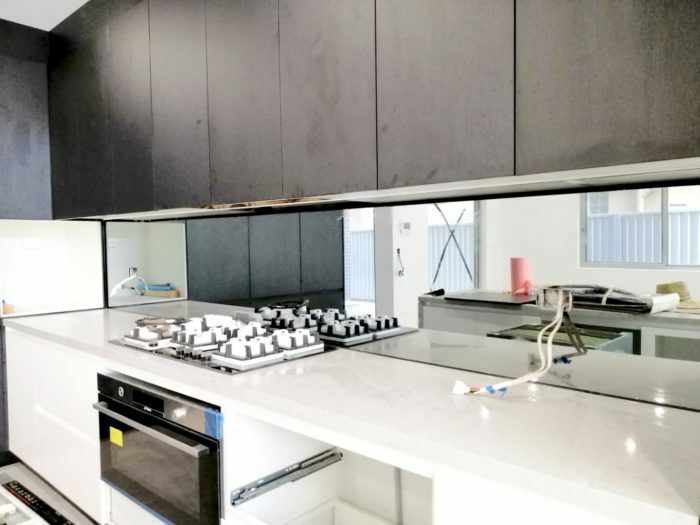 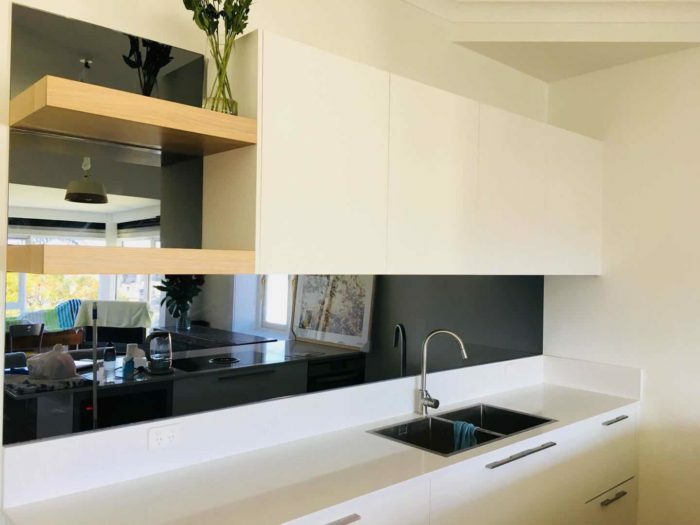 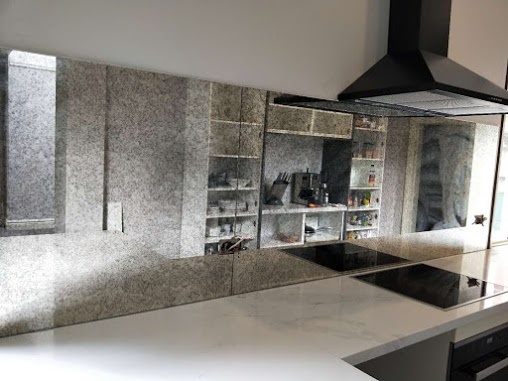 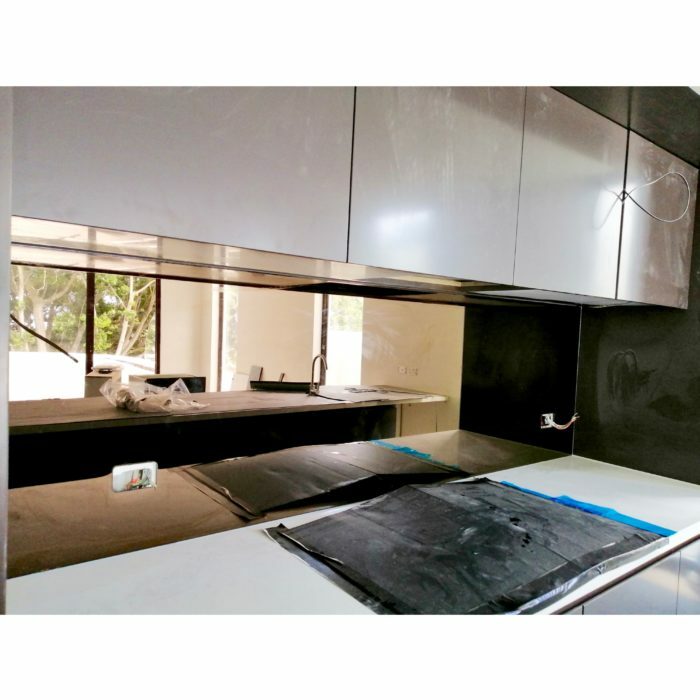 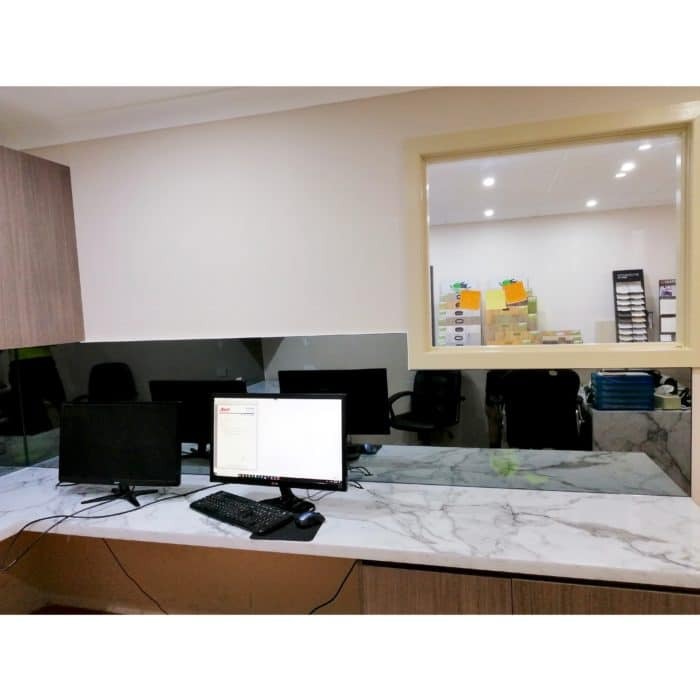 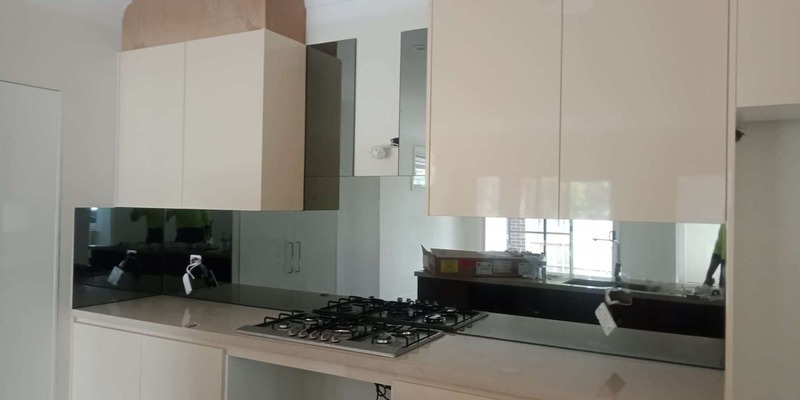 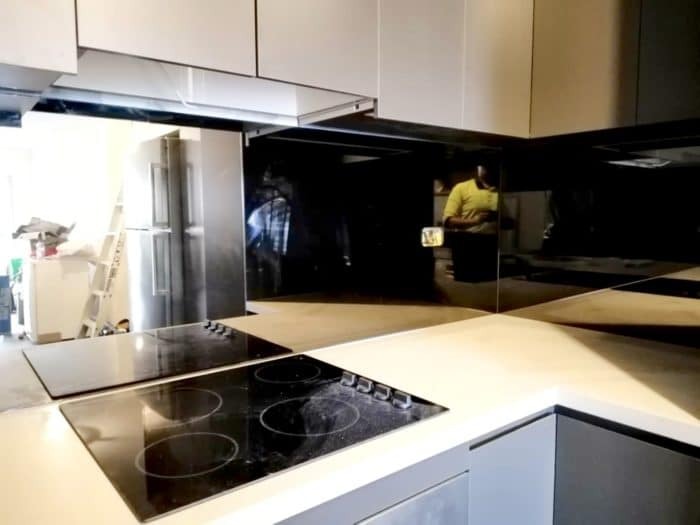 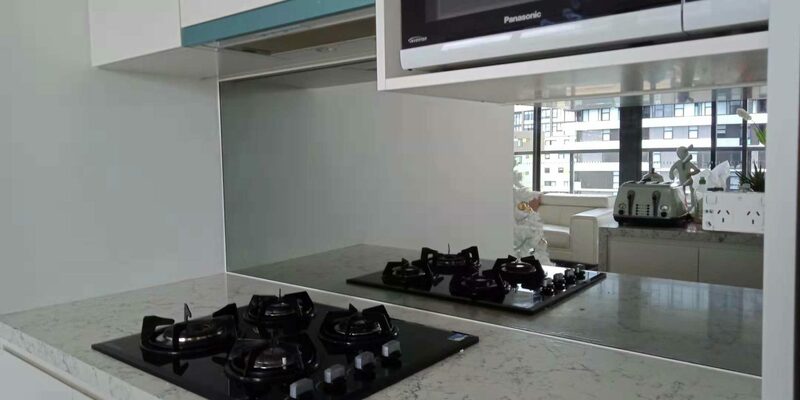 Toughed Mirror Splashbacks has options in clear and smoke color. Adds a modern touch to your kitchen. 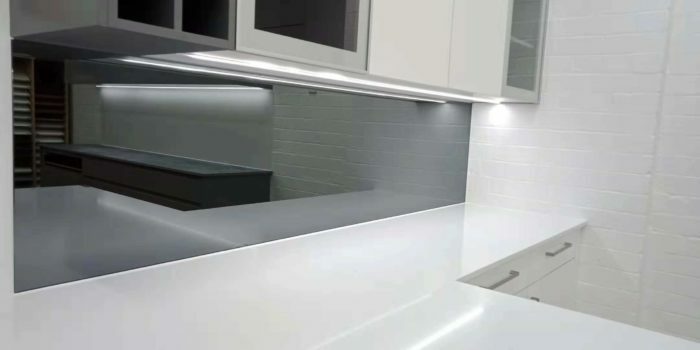 It’s the latest trend. 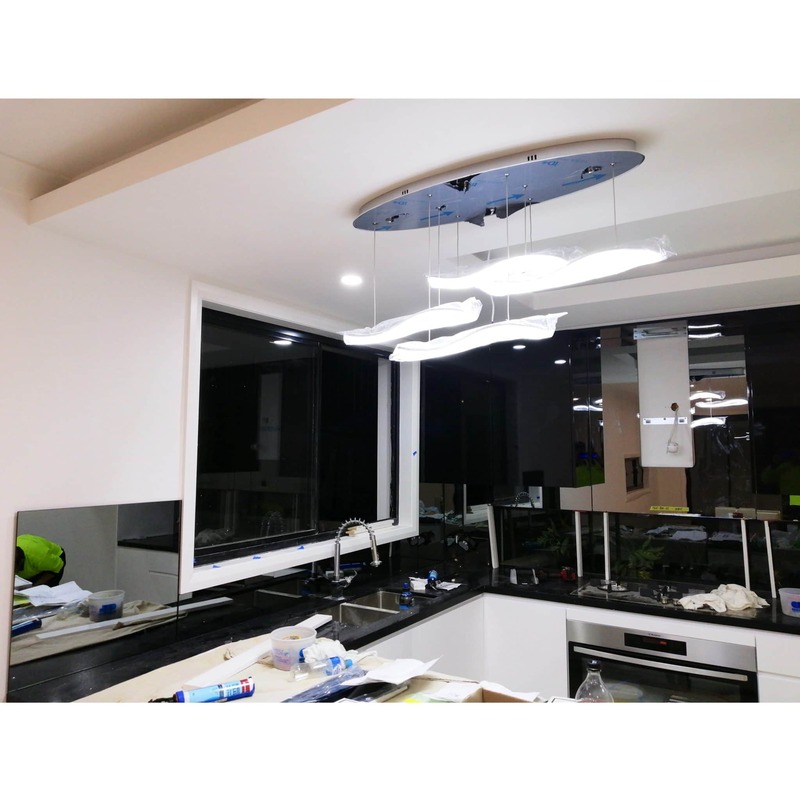 It extends the kitchen space and meantime make it so easy to keep the kitchen clean.It’s suitable for both Open or Closed kitchen. White or Smoke styled Mirror : Stylish and contemporary. 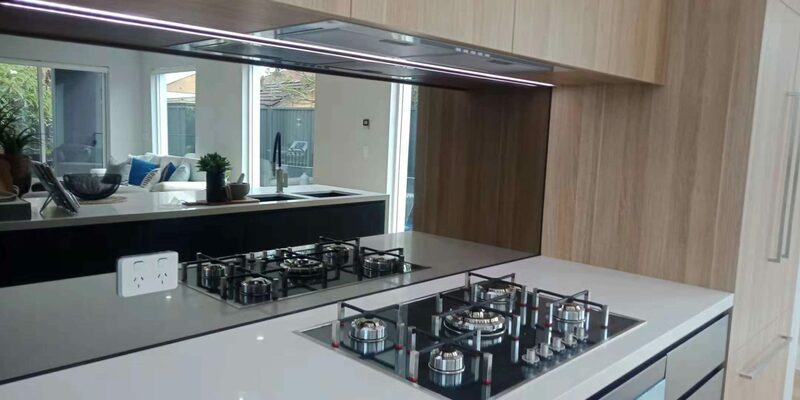 White Mirror/Smoke Mirror and Antique looking Mirror for your kitchen.